Tony Romo will be teeing it up once again at the AT&T Pebble Beach Pro-Am. The AT&T Pebble Beach Pro-Am is set to tee off this week at iconic Pebble Beach Golf Links, and once again it's loaded with some big-time celebrities. Here are 12 of the biggest names and familiar faces to keep an eye on this week along the Monterey coastline. You can view the full list of celebrity participants here. Tony Romo After calling his first Super Bowl this past weekend for CBS alongside Jim Nantz, Romo will be teeing it up again at Pebble Beach this week. The former Dallas Cowboy and Pro Bowler made his PGA Tour debut at the 2018 Corales Puntacana Resort and Club Championship, where he missed the cut. He has also played in Web.com tour Q-school and attempted U.S. Open Qualifying several times in recent years. Jake Owen Before turning his interests to country music, Owen initially pursued a career as a pro golfer. He won his first tournament at age 15. He's still a big golfer today, and he was awarded a sponsor's exemption into the Web.com Tour's Nashville Golf Open this past year. Larry Fitzgerald had a hole to remember at Seminole Golf Club with Barack Obama. Larry Fitzgerald Romo won't be the only participant at the pro-am with football ties, as the Arizona Cardinals wide receiver will take part again. Fitzgerald says that he’s a 10 or 11 handicap and that he packs a cut-off shaft during road weeks so he can practice his swing. Last month, the Pro Bowler made an ace while playing a round with former President Barack Obama. Ray Romano is an avid golfer, despite his own admittance that he stinks. Ray Romano The actor and stand-up comedian participated in Golf Channel's The Haney Project, in which Tiger Woods's former coach helped celebrities and athletes improve their game. Romano's been a regular participant in the pro-am and frequently plays in the American Century Celebrity Golf Classic. NFL star Aaron Rodgers during the 2018 AT&T Pebble Beach Pro-Am. Aaron Rodgers Make that three football stars who will be in action at Pebble Beach this week. The Super Bowl champion and league MVP Rodgers enters with a reported 4.0 handicap index, and he has expressed interest in playing alongside viral sensation Hosung Choi. Darius Rucker The singer, who also frequents Pebble Beach every year for the pro-am, is a single-digit handicap and hosts an annual post-Masters pro-am. Rucker is good friends with Tiger Woods and sang at his wedding and father's funeral. Rucker was also a VIP guest of Team USA at the 2016 Ryder Cup. Darius Rucker is pals with 14-time major champ Tiger Woods. Matt Ryan Oh look, another Pro Bowl and MVP quarterback playing at Pebble! Ryan, who tosses the pigskin around for the Atlanta Falcons, is an avid golfer and has participated in a number of tournaments such as the American Century Celebrity Golf Classic. Tom Dreesen The actor and stand-up comedian hosts an annual celebrity golf tournament called the Tom Dreesen Celebrity Classic. Colt Ford Before becoming a country music singer, Ford was a pro on the Web.com Tour. Joe Don Rooney The Rascal Flatts’s lead guitarist, who played in last year's pro-am, says he’s played around 60 of the country’s top 100 courses. Larry the Cable Guy is a regular at the Pebble Beach Pro-Am. Larry the Cable Guy The comedian says he used to hate golf, but credits Boo Weekley with getting him into the game. He played in last year's pro-am too. 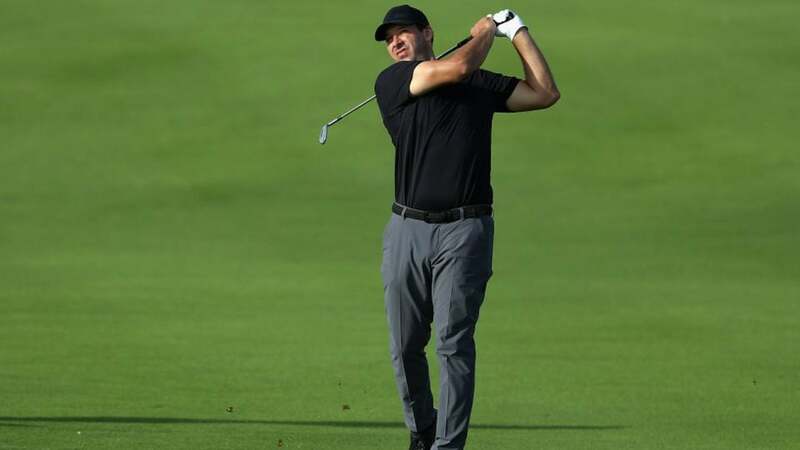 Kelly Slater The professional surfer is an avid golfer when not catching waves.